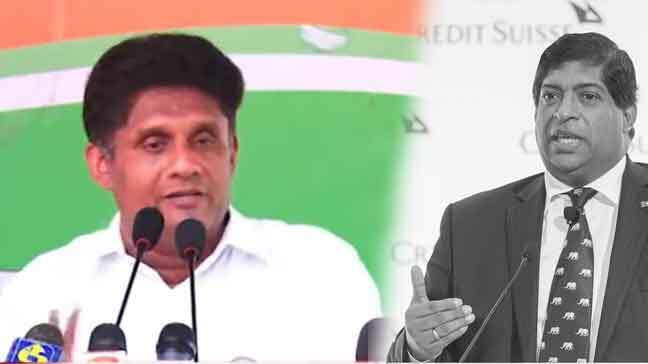 lanka C news | ලොවම කැළඹෙන පෙරළිකාර තීන්දුව මෙන්න.. ශ‍්‍රීලනිප ඇමති පිරිසක් එජාපයට එක්වී ආණ්ඩුව පෙරටම.. ශ‍්‍රීලනිප ඇමති පිරිසක් අනාථයි..
ලොවම කැළඹෙන පෙරළිකාර තීන්දුව මෙන්න.. ශ‍්‍රීලනිප ඇමති පිරිසක් එජාපයට එක්වී ආණ්ඩුව පෙරටම.. ශ‍්‍රීලනිප ඇමති පිරිසක් අනාථයි..
පලාත් පාලන මැතිවරණයේ ප‍්‍රතිපලය මත ඇතිව තිබෙන තත්වය සලකා බලමින් ඉදිරි වසර දෙකක කාලය එක්සත් ජාතික පක්‍ෂ ආණ්ඩුවක් ගෙන යාමට එම පක්‍ෂය තීරණය කර ඇත. 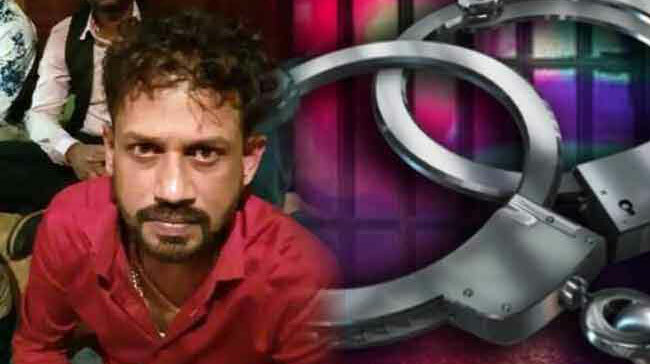 මේ සදහා ශ‍්‍රි ලංකා නිදහස් පක්‍ෂ ඇමතිවරුන් පිරිසක්ද එක්වීමට නියමිත බව ඉහල පෙලේ ආරංචි මාර්ග කියයි. 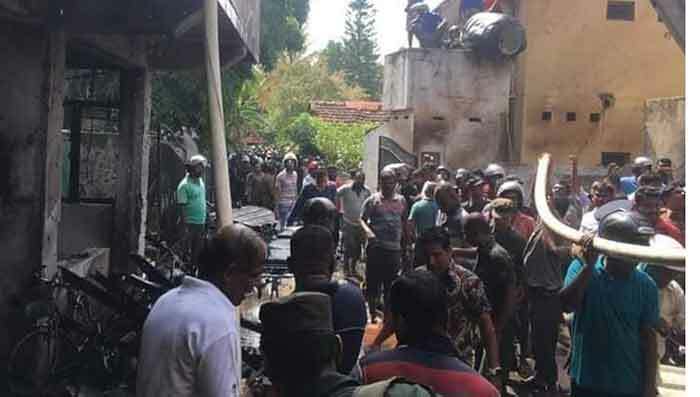 එක්සත් ජාතික පක්‍ෂ ආණ්ඩුවකට එක් වීමට අකමැති බව සදහන් කරන ශ‍්‍රීලනිප ඇමතිවරුන් පිරිසක් විපක්‍ෂයේ ස්වාධීන වීමට තීරණය කර ඇති බවද වාර්තා වෙයි. එසේ ස්වාදීන වීමට නියමිත පිරිස් අතර කොළඹ, ගම්පහ, රත්නපුර, ගාල්ල, හම්බන්තොට, මාතලේ, මාතර, අනුරාධපුර, මහනුවර, කුරුණෑගල යන දිස්ත‍්‍රික්වල ඇමතිවරුන් සිටින බවද දැනගන්නට ඇත. 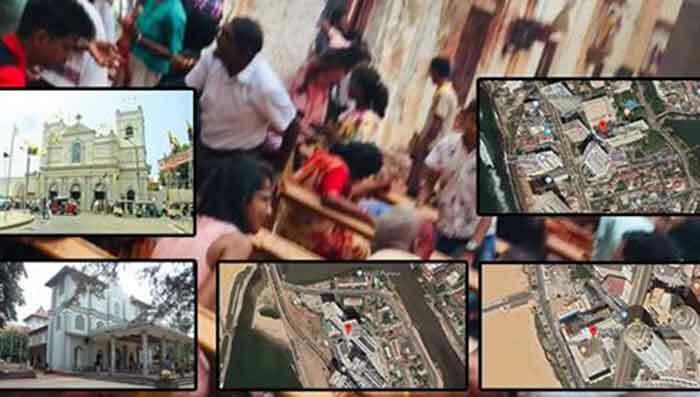 මෙම පිරිස් එක් කර ගන්නවාට ශ‍්‍රී ලංකා පොදුජන පෙරමුණ දැඩි විරෝධයක් දක්වන නිසා ඔවුනගේ ඉදිරි දේශපාලනය දැඩි අවිනිශ්චිත තත්වයකට පත්ව ඇති බවද සදහන්ය. එකත් හරි. දැන් මුන් නිසා බුලත් කොලේට චන්ද දුන්න පිරිසත් ඊලග චන්දෙට පොහොට්ටුවට සෙට් වෙන එකයි. 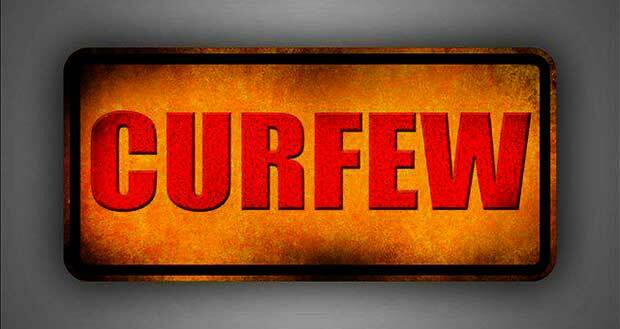 SLPP must have it is own correct short term and long term political strategies. 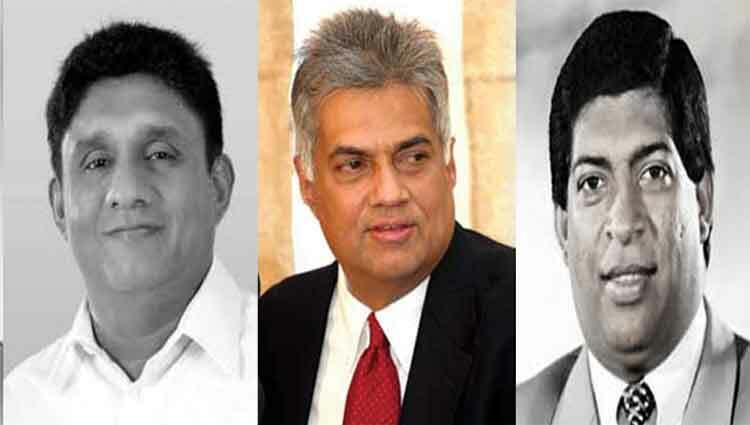 But should not not get destroyed ALPP uniqueness by making relationship with SLFP dirty bantered. ඔය උන් එන්න හදන්නේ මහින්දටවත් රටවත් ආදරයෙන් නෙවේ උන්ට ඇමති කම් නොදෙන නිසා යන්න එන්න තැනක් නැති නිසාත් unp එකට ගියවුන්ට ඊලංග චන්දයෙන් ගෙදර යන්න වන නිසා තමුන් පොහොටුවට එක වී නැවත ගොඩ යන්න තමා ඔය එන්න හදන්නේ .මුන්ව වද්දගන්න එපා ඔන්න මේ කියන්නේ පොහොට්ටුවේ ඇතුලේ ඉන්න අය නොවේ මේ අපි පොහොට්ටුවට චන්දය දුන්නු අය . පහුගිය කාලේ පොහොට්ටුවට නාපු උන් දැන් පොහොට්ටුව දින්නට පස්සේ එපා .ජනතාවව උන්ට අකමැතියි .සුසිල් කියන පාවා දෙන්නා ,අනුර පියදර්ශනලා ඇතුළු කාවුරුවත් ගන්න එපා ඔන්න නොකිව්වයි කියන්න එපා . පොහොට්ටුව පර වෙන්නේ සැලූන් දොරක් එහි හයි කළ විටය…..
Good. Then immediately investigate Rajapakse family corruption and punish them without a delay. Otherwise mad dogs will bite you with vengence. Ledakda ? Lankawe me wenakota okkome Horakan kale Rajapakshe witharade ? madabaahu, umbe amma nam sinhala wenna athi. habayi thaatha nam parangiyek wenna one. tho pala puruthugeesiyata. That “immediate” investigation was promised 3 years ago ! Were the investigators aka bank robbers eating Golden horse poo inside Backingham palace along with Thajudeen for the last 3 years? Oh ! What a loooooong fart ! Oh ! What a smell ! 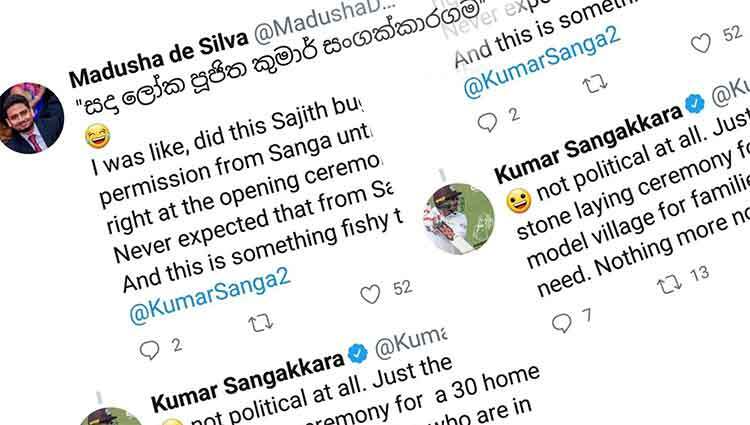 janapathi mathiduni me aparadayata udaw dila SLFP ea samula gathanaya wenda ida denna epa. 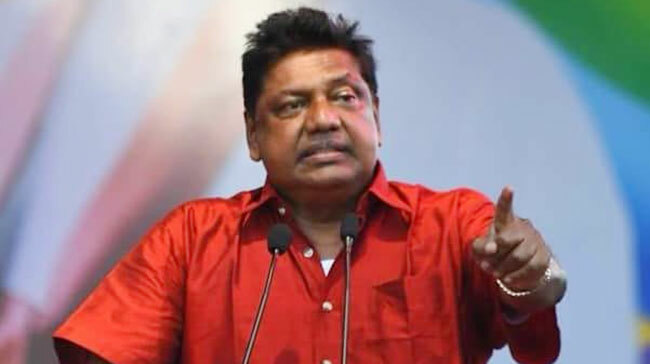 oba methek SLFP ekata karapu winasaya hodatama athi. oba SLFP ekata adarenam sabapathi kamen iwath wenda. කියල ඔබට මතකෙට ඇවිත් සතුටක් දැනේවි. කියල මතක් වෙලා සතුටක් දැනෙන්න පුලුවන් විදියට ඉස්සරහට වැඩ කරගෙන යන්න. ඒ වෙනුවෙන් රටේ ඉන්න අවංක හදවතක් තියෙන සංවේදී මිනිස්සුන්ගෙ හදවත අවදි කරල ඉස්සරහට අරගන්න, ඒ මිනිස්සු තමන්ගෙ රටේ පොදු දියුණුව වෙනුවෙන් තමන්ගෙ පෞද්ගලික ධනය උනත් වියදම් කරන්න සූදානම් මිනිස්සු,රට වෙනුවෙන් තමන්ගෙ ජීවිතේ උනත් දෙන්න සූදානම් මිනිස්සු. එහෙම මිනිස්සු වැඩි හරියක් මේ රටේ ඉන්නෙ,ඒත් ප්‍රශ්නෙ ඒ මිනිස්සුන්ගෙ හදවත අවදි කරන්න රටේ නායකයන් අසමත් වෙච්ච එකයි.ඉපදුනු දවසෙ ඉඳන්ම ඒ මිනිස්සු දැක්කෙ පාලකයන්ගෙ හොරකමයි,වංචාවයි,දූෂණයයි විතරයි.නිවැරදි පාලනයක් ආවොත් ඒ මිනිස්සුන්ගෙ හදවත් අවදි වේවි. මේ රටේ මිනිස්සුන්ගෙ ආධ්‍යාත්මික දියුණුවක් හදනවනම් මේ රට ඉක්මනින්ම දියුණුවට ගෙනියන්න පුලුවන්. කොහොම උනත් යුද්ධය ඉවර කරා වගේ කෙලින් තීරණ අරගෙන මේ රට දියුණු කරන්න පුලුවන් ,අද වෙද්දි මේ රටේ ඉන්න එකම නායකය ඔබ තමයි.මැරිච්ච අතීතයෙන් දැන් වැඩක් නෑ,අනාගතය ගැන හිතල අද වැඩ කරන්න. අනාගතේදි ඔබටත් වඩා දක්ෂ නායකයො අපේ රටේ බිහිවේවි.ඒ අයට හොඳ ආරම්භයක් මෙතනදි අරගෙන දෙන්න,එතකොට ඔබේ නමට මේ රටේ මිනිස්සු හැමදාමත් ගරු කරාවි. බලය වෙනුවෙන් එක හොරෙක් ආරක්ශා කරොත් ලක්ෂයක් මිනිස්සු ඔබෙන් ඈත් වෙලා ඔබව දුර්වල කරාවි,ඒත් කොන්ද කෙලින් තියන් එක හොරෙක් එලෙව්වොත් මිනිස්සු ලක්ෂ දෙකක් වැඩියෙන් එකතු වෙලා ඔබව ආරක්ශා කරාවි. Well said ! 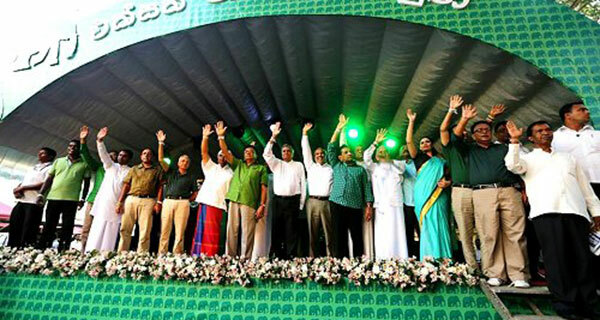 There are thousands of decent and honest Sri Lankan sons and daughters, who are well educated in their chosen fields, and willing to sacrifice their time end energy for the sake of the future of this country, BUT, the political environment with full of vultures, does not make any space for them. 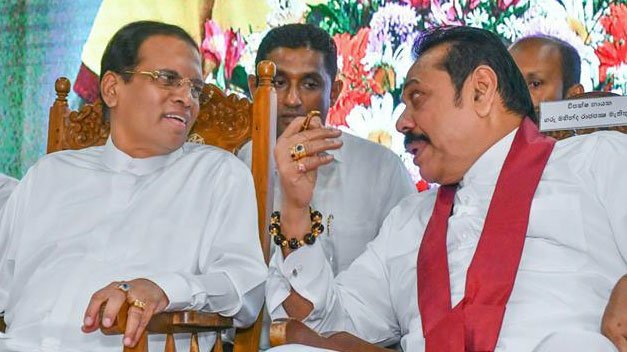 Now is the time for President Mahinda, to create such a space for them to come forward and help the the country to enable it’s people to live with dignity and honour. This is what we ever dreamed of. 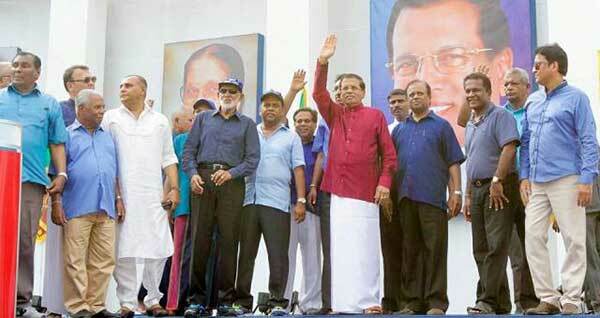 Let those traitors who come to parliament under Mahinda flag, politically die. Let this stupid government crawl the next three years without having any possibility to change the legislation, sign ETCA or betray our war heroes. ලජ්ජවක් නැති කාලකන්නි එජාපෙට එකතු වෙයල්ලා. ලජ්ජාවට පත් වෙච්ච අනාතයෝ ටික ඔන්න ඔහේ කොහේ හරි වාඩි වෙයල්ල. හැබැයි නෝ සීට් ඉන් පොහොට්ටුව. හවුස් ෆුල්. The President may summon, suspend, or end a legislative session and dissolve Parliament any time after it has served for one year. Parliament reserves the power to make all laws. You are wrong mate. With the 19th amendment, the president can not dissolve the parliament till 4 and half years. මෙවර මිනිස්සු ජන්දය දුන්නේ මැති-ඇමතීන්ට නොවන නිසාත් මෙවර මැතිවරණයේදී ජනතාව බලාපොරොත්තු වුයේ සියල්ලට පෙර රට සහ එහි ආර්ථිකය කඩාවැටීම නිසාත් ඔය ඇමතියෝ නොගත්තැයි කියලා කිසිම අවුලක් වන්නේ නැත. ජනතාවට උවමනා මැති-ඇමතීන් නොව රට බවට මෙවර මේ ගමේ ජන්දයෙන් ඔප්පු කර ඇත. එහෙයින් ලංකා දේශපාලන ඉතිහාසයේ සිදුවූ දැවැන්තම හැරවුම් ලක්‍ෂය මෙය බව මගේ හැගීමයි. මින් ඉදිරියට මැති-ඇමතීන්ට නොව රටට ජන්දය දෙන ජන්දදායකයින් පිරිසක් බිහිවෙමින් ඇත. ඔවුන් වත්මන් දේශපාලනික විකෘතියෙන් රට මුදවා මේ රටේ අනාගතය තීරණය කරනු ඇත. මහේන්ද්‍රන් අගමැති, ආලෝ මල්ලි මුදල්, ප්ලිසෙන තාක්ෂණ ,අජිත් ෆුට් නෝට් ,දුමින්ද ගන්ජා ,රාජිත බේගල්.,මංගල ගල්, චන්ද්ර්කා ඉල්ලන් පරිප්පු, සිරිසේන ආප්ප. රනිල් ජනාදිපති. වහලා කියපු දෙයට මමත් සම්පූර්ණයෙන්ම ඒකගයි ඔය ආණ්ඩුවේ ඇමතිකම් දරන හෝ ආණ්ඩුවට කඩේ ගිය කිසිම කෙනෙක් පොහොට්ටුවට ගන්න එපා. 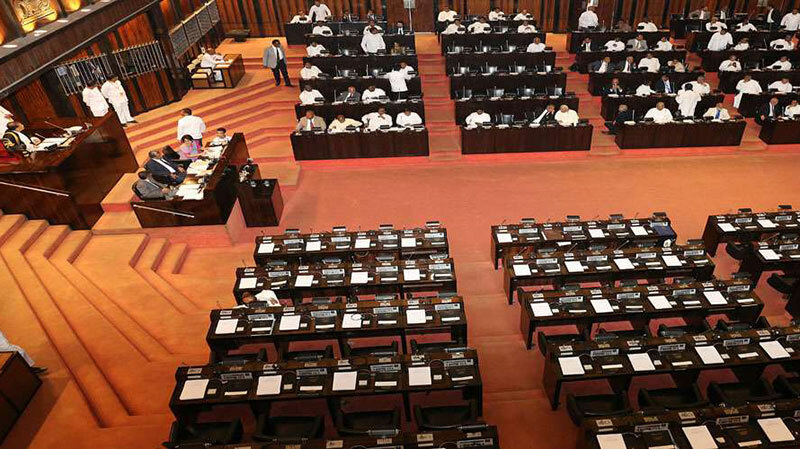 ඔළුගෙඩි මාරුවකින් කරන ආණ්ඩු පෙරලියක් අවශ්‍ය නැහැ. දැනට විපක්ෂයේ ඉද ගෙන රට ආරක්ෂා කරගෙන ඉදිරියට යමු. 2020 ඉලක්ක කරගෙන 30කට අඩු චායා කැබිනෙට්ටුවක් සාදා ගෙන වැඩ කරමු. 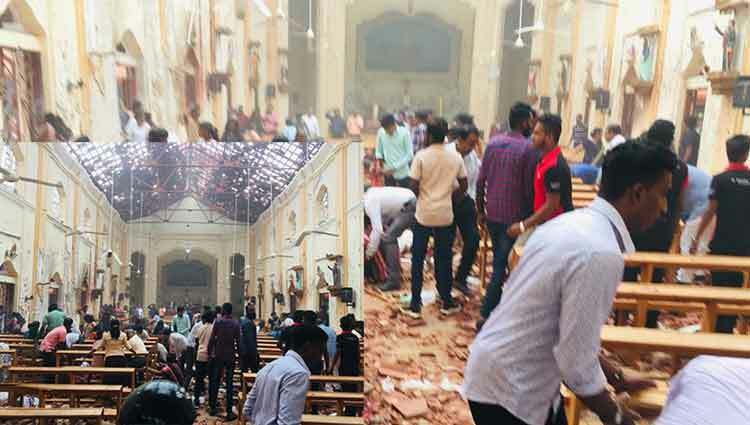 ඔය මෛත්‍රීට කඩේ ගිය එවුන් ගත්තොත් මීලග රජයේ කැබිනෙට්ටුවත් 100 පනිනවා. එහෙම වුනොත් ජනතා අප්‍රසාදයට පත් වෙනවා. 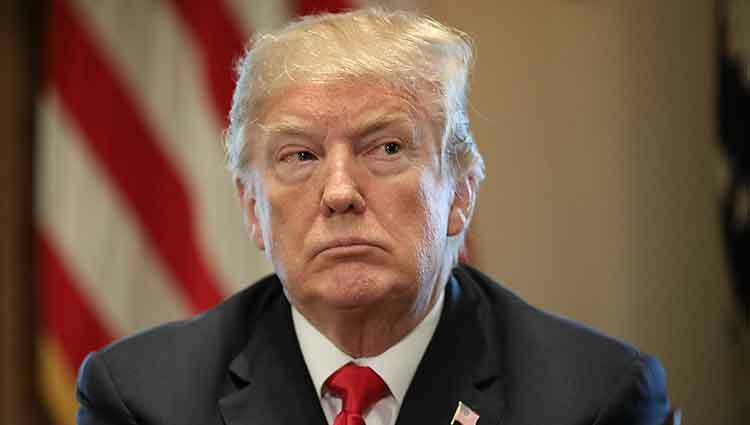 උන් සියල්ලම මෛත්‍රීට කඩේ ගියේ තම තමන්ගේ හොරකම්, වංචා, දුෂණ වලින් බේරිලා ඉන්න. උන් ටික නැවත ගත්තොත් නැවතත් හොරකම, දුෂණය රජකරාවී. දැනට ඔය ඉන්න කණ්ඩායම හොදටම ඇති. වැඩි කරගන්න අවශ්‍ය ජනතා ප්‍රසාදයයි. අපි බලාපොරොත්තු වෙනවා 2019 අවසාන භාගය වෙන විට ගෝඨාභය ඇමරිකානු පුරවැසි භාවය අත්හරීවී කියලා. එය ජනතා පැතුම සහ රටේ අවශ්‍ය තාවය. 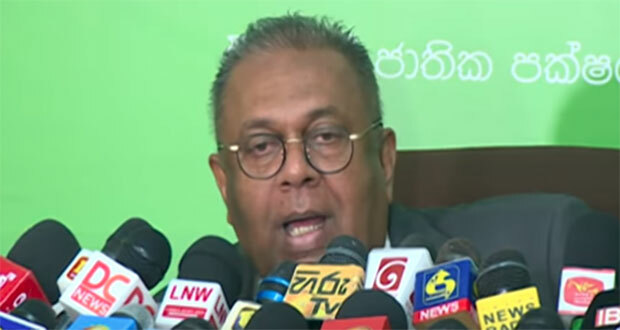 Ethakota awurudu thunak rate aarthikaya winaasa karapu UNP kaarayanta thawaduratath aandukaranna idadenna hadanne deyyange haal kawilawathda. වියන්ගොඩත් කඩය වසා යන්න ගියා.. ? Please don’t take these idiots. Why do you maintain this useless, selfish, cunning gang using our money? Even now, how much monthly expenditure is used for them/ for doing nothing to the country? Please chase them away. Our poor people die in hunger. These idiots take salary, allowances, vehicles, drivers, fuel, residences and everything. Do nothing. Chase them away. මුන් සැට් එකම අල්ලලා පින්නවල අලි අනාතාගාරයට යවපල්ලා??? ?